No football talk. Shhh. Just eating and drinking. Engage in non-football talk at the Super Bowl Sanctuary at Cecconi's on Sunday, February 7th. You don't know what a first down is. But you like to get down. And have fun. And have appetizers and sparkly beverages served in flute-like glasses. Just don't mention passes. Don't mention tight ends or goal posts. Cecconi's in West Hollywood is hosting a Super Bowl Sanctuary for the small but important contingent that will not be crouching over some coffee-table-based bowl of dip come Sunday, February 7th. There will be no football chitchat -- zip it, if you're tempted, just, tsk -- but a convivial, laid-back atmos will prevail. On the menu: Dungeness crab, roast prime rib-eye, chocolate fondant, other goodies. Two courses go for $35, three for $45. It's on -- well, what a coincidence -- from 3-7PM on February 7th. Wonder what else is going on during that time? Huh. Well. 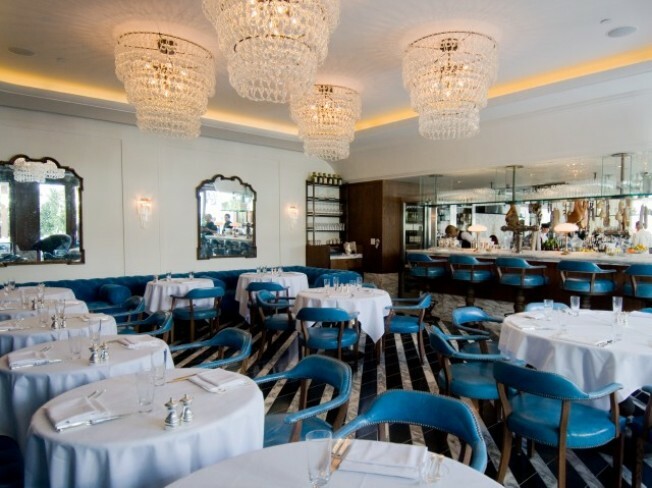 Head for Cecconi's and have a ball -- wait, did we say ball? We mean. Um. Good time. Yes. Not ball.